Shopping, everyone has to do it sooner or later. You need food to eat and clothes on your back and none of those things last forever. That means eventually you’ll need to shop. Shopping locally is a great thing to do and it helps fuel your local economy, but there are ways to save money by shopping online. Most people worry about shopping online. What if the shoes you order don’t fit, or the pants? There are ways, which you are about to learn. One of the biggest issues with shopping for clothes online is the fit. What happens when your new dress comes and it’s too small, even though you ordered a size that normally fits perfectly? This is why it is important to ensure the place you are shopping from has a good return or exchange program. Preferably one that saves you money on mailing back your returns. Take a little time to look into their policies. In order to try not to get items that are too big or small, make sure you take very accurate measurements of yourself prior to ordering. This way you know your clothing will fit. If the place you are buying from doesn’t include exact clothing measurements don’t be afraid to reach out to them for more info prior to purchase. It could save you time and money. As pointed out by VPS, experts in payment services, virtual terminals are set up to help you easily pay with your credit card when shopping on sites like Ebay and Amazon. If your Credit or Debit Card gives you bonuses for shopping in general, or purchasing from certain stores, it makes sense to use them when shopping online so you can earn a little cash back. You can also find coupon deals through sites like Retailmenot.com. 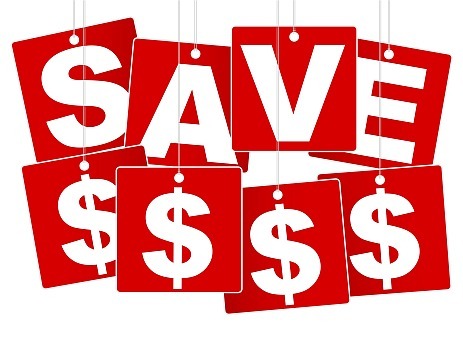 Coupon codes can save you a good percentage off, sometimes up to 40 percent, on your online purchases. Sign up for frequent shopper programs anytime to come across you. They work with your online purchases too, not just in store. That makes it a good investment, although most of the time it’s free to sign up for them. Amazon offers Amazon Prime for a yearly fee that gives you discounts and free shipping on your orders. If you shop through them a lot you can quickly earn the fee back in savings. As you can see, online shopping can be frugal at times, and you even save money on gas! Now that is a win-win situation. Just make sure you watch shipping costs. Some sites can really get you on overcharges that way.